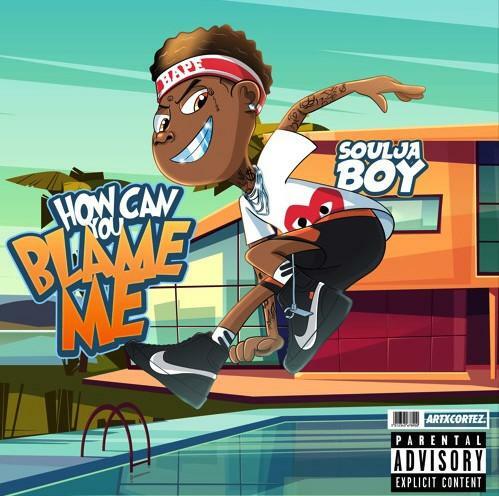 Home>New Songs>Soulja Boy Songs> Soulja Boy Continues To Throw Shade At Tyga On "Piguet Puddle"
Soulja Boy has been capitalizing off of his viral moment earlier this year when he screeched Tyga's name with appall. Since then, Tyga's laughed off the disses while Soulja Boy's been looking like the only active participant in the beef. However, it's working out for Soulja Boy who's getting ready to release his forthcoming project, How Can You Blame Me this summer. Today, he unleashes a new single off of the project titled, "Piguet Puddle." "Piguet Puddle" is the latest offering from Soulja Boy which follows the release of this weekend's back-to-back releases of "Tha Block Is Hot" and "Warned" with Killah Dre. On his latest track, Soulja Boy flexes his stacks, his drip, paying his lawyer $150K for a case, and of course, a few shots at Tyga including one involving King Cairo. SONGS Soulja Boy Continues To Throw Shade At Tyga On "Piguet Puddle"